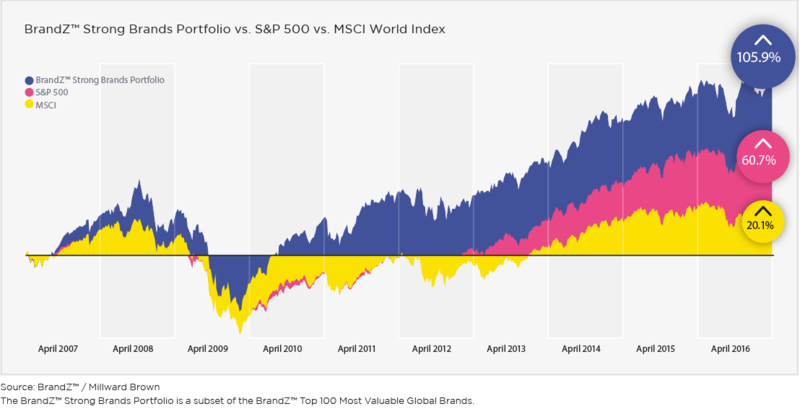 The value of the BrandZ™ Strong Brands Portfolio increased 105.9 percent between April 2007 and April 2016, outperforming both the S&P 500, which grew 60.7%, and the MSCI World Index, which grew 20.1% (the MSCI World Index is a weighted index of global stocks). In concrete terms, USD 100 invested in 2006 would be worth USD 120 today based on the MSCI World Index growth rate, and USD 161 based on the S&P 500 growth rate. But that USD 100 invested in the BrandZ™ Strong Brand Portfolio would have more than doubled in value, to USD 206. 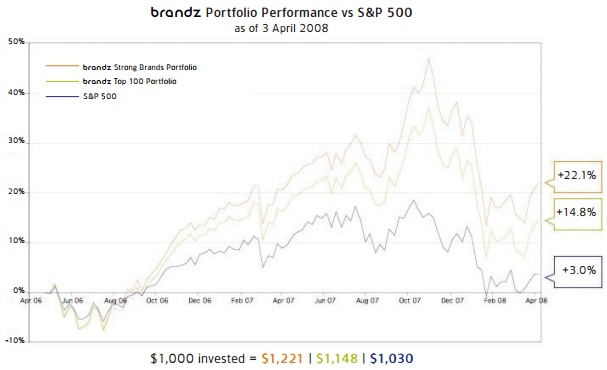 In 2008 BrandZ has been able to compare the performance of the BrandZ Top 100 Most Powerful Brands as a portfolio against the performance of the stock market. Bearing in mind the challenging economic conditions being experienced in some parts of the world, it is particularly interesting to see the role that brand plays in driving value. To take account of the economic developments during the first quarter of 2008, they calculated this portfolio up to the beginning of April 2008. In order to do this, they created a portfolio of all the brands in the Top 100 that are publicly listed and frequently traded (i.e. not illiquid). 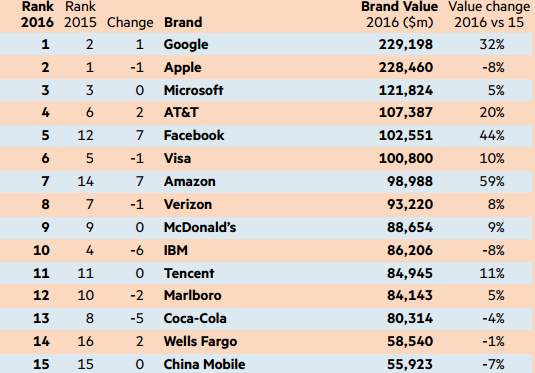 The Top 100 Most Powerful Brands portfolio is benchmarked against the S&P 500. For each of the three years that the ranking has been running, "BrandZ" changed the portfolio to reflect that year’s Top 100 brands. One can see from the chart, that investing in the BrandZ Top 100 Most Powerful Brands results in a five-fold increase in performance. 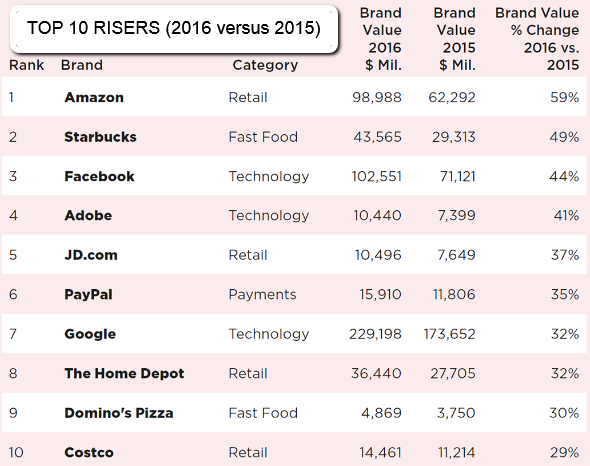 The difference in performance between both the Top 100 and the Strong Brands portfolios demonstrates the power of brands. This is particularly relevant when the economy is in a downturn, because strong brands can help to protect businesses from risk.